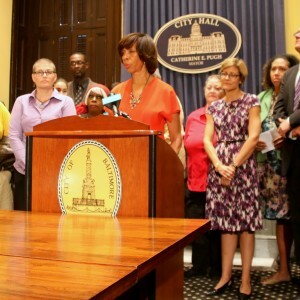 Advocates spread the word that one- and two-unit rentals in Baltimore must now be inspected and licensed. 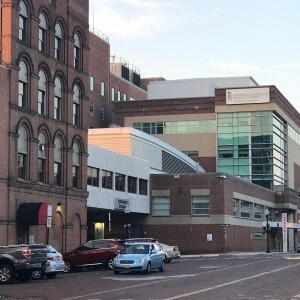 Hospital denounces “unfounded speculation” about Karen Simpkins’ death, but says it is legally bound not to comment on her medical treatment or discharge. 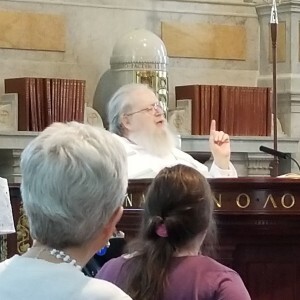 A retired pastor sees parallels between the city’s response to the homeless and the Trump administration’s zero-tolerance policies at the border. 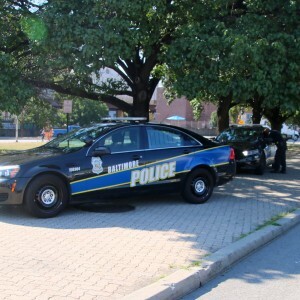 The woman appeared to be in her early 60s, a Baltimore police officer said. 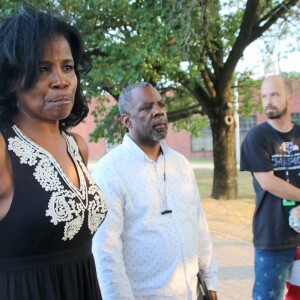 Saying Mayor Pugh and Council President Young have reneged on their promises, activists will take to the streets on Saturday to gather signatures. So muddled were its targets that the auditor couldn’t pinpoint how much it lagged behind. 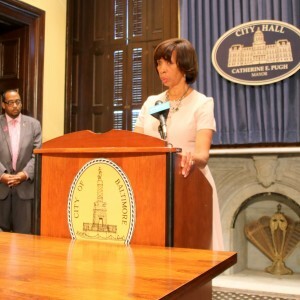 A transfer tax increase bill has support from Council President, but no word yet from Pugh. 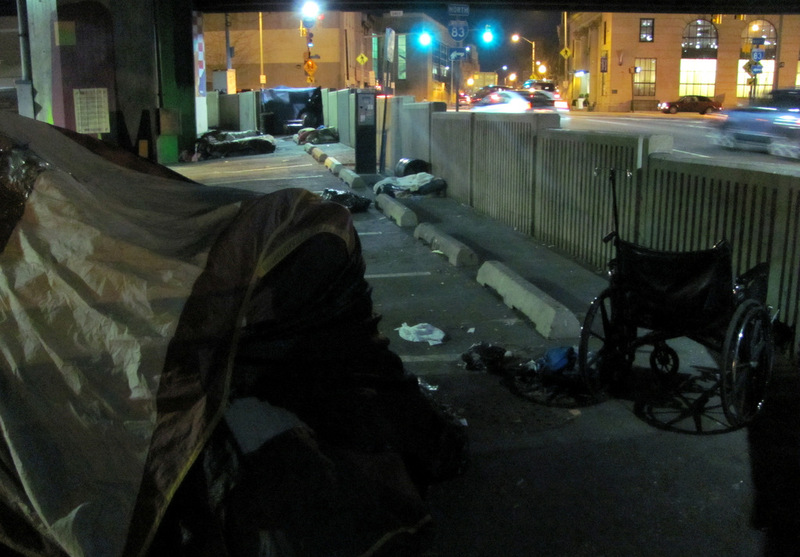 Amid tension over Baltimore’s continued razing of encampments, the Continuum of Care Board proposes tackling street homelessness on its own. 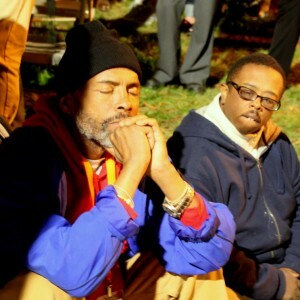 Razing paused after city workers take a woman’s things without asking and turn away a church group trying to feed people. 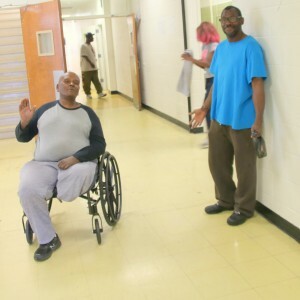 Papering over a big problem: Only a handful agree to go to the Volunteers of America shelter. “We’ll be back,” vowed one. 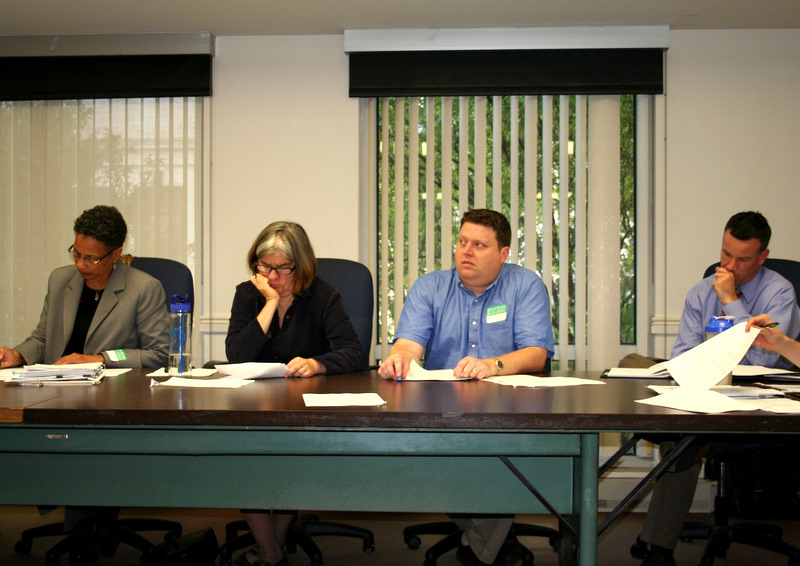 “Not one dollar” has been put into the Affordable Housing Trust Fund 15 months after voters approved it. 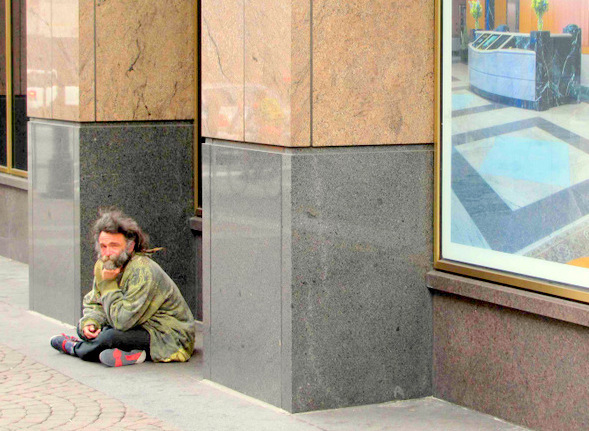 A blueprint for tackling the deep-seated problems that have led to rampant homelessness. 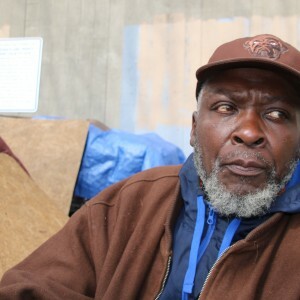 The mayor and the media are misrepresenting the number of city residents in dire need of shelter, a longtime activist says. 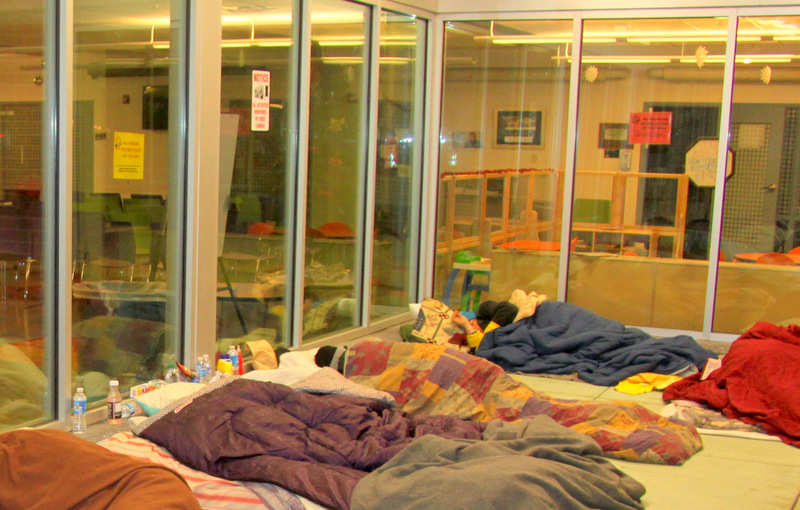 There are 150 overflow beds and a shelter permitted for 360 more beds. 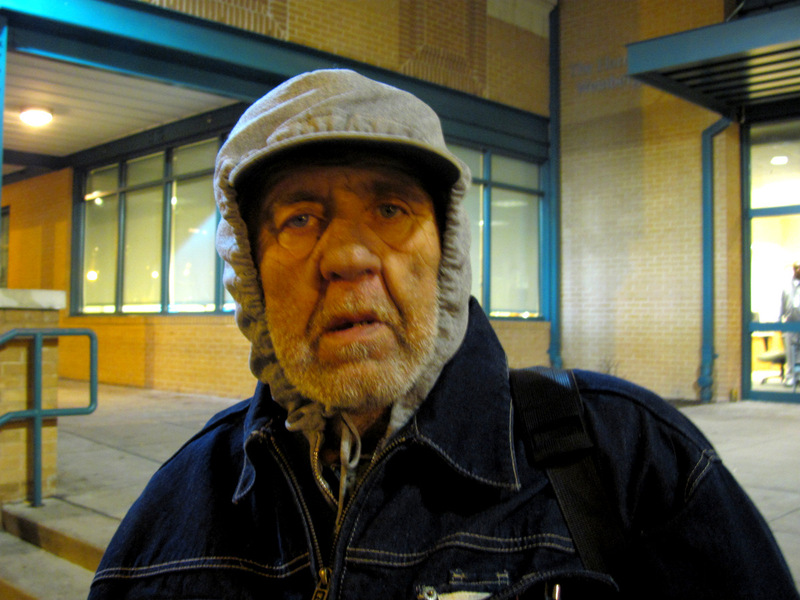 A homeless advocate says that’s not enough. 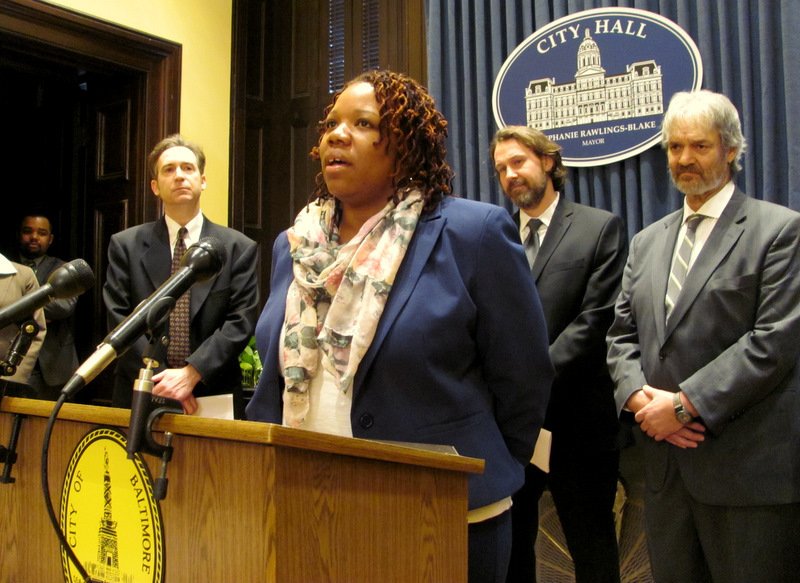 Without committing any funding, mayor says she supports the ideas behind Baltimore Roundtable’s housing plan. 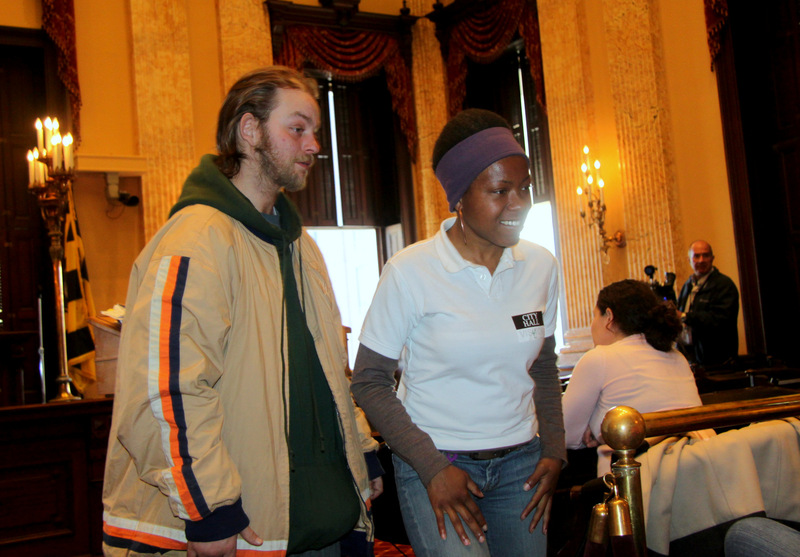 Reporter barred from watching city move homeless group. 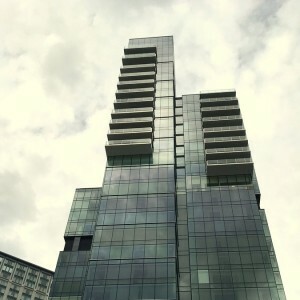 For protest leader, a new apartment. 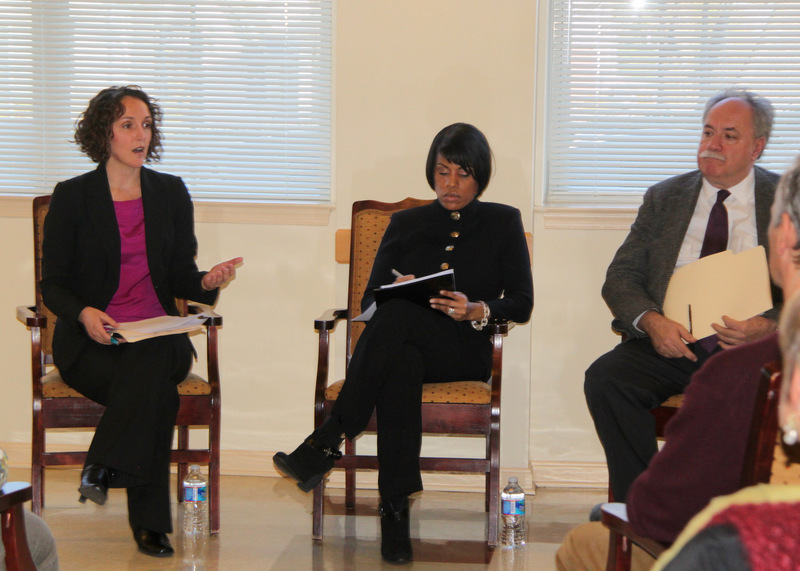 Faith-based recovery center and shelter a platform for Trump’s Administration on opioids and Pugh’s on homelessness. 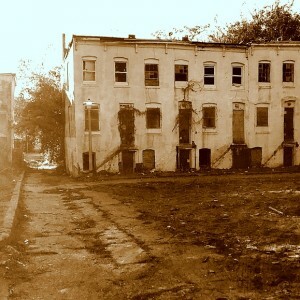 The Episcopal Housing Corporation launches a project on a blighted block of West Baltimore that it hopes will become a model. Plenty of hopes and plans, but few details at mayoral announcement that homelessness advocates found anti-climactic. 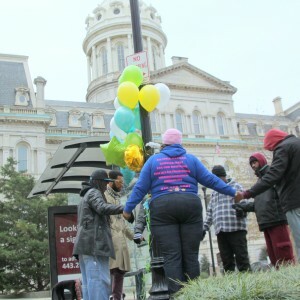 Given recommendations by her workgroup – and sharp prodding by the Tent City protesters – Pugh is taking action on the issue. 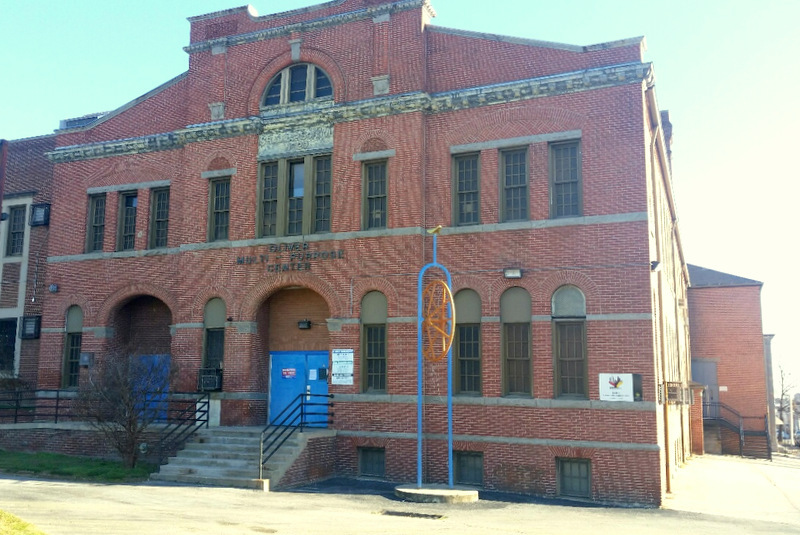 A month after Pugh moved homeless people off the City Hall lawn, they remain stuck in a former school in West Baltimore. 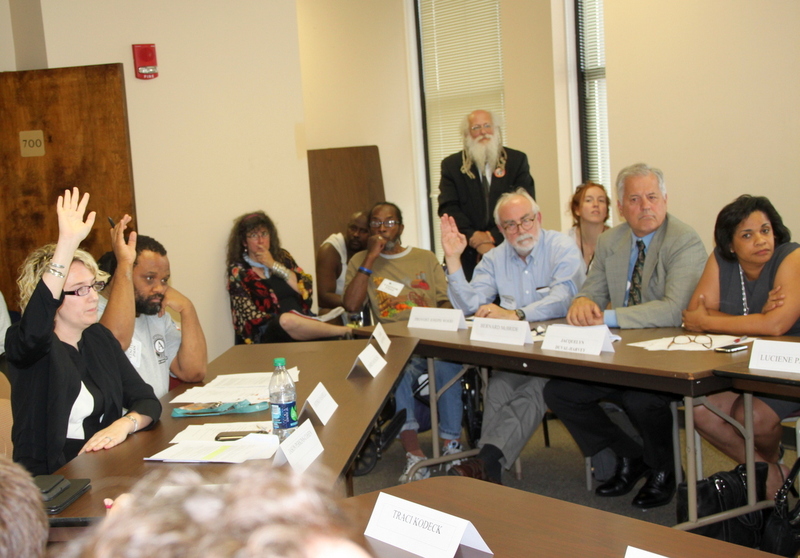 “Assessments?” Bureaucratese for “you’re back out on the street.” The real Rx: permanent affordable housing, veteran advocates say. 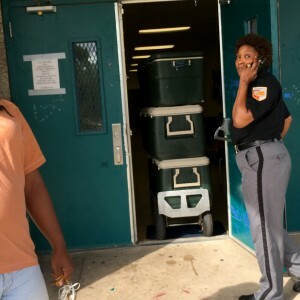 The future of their broader agenda murky, homeless protesters are now at a former West Baltimore school. 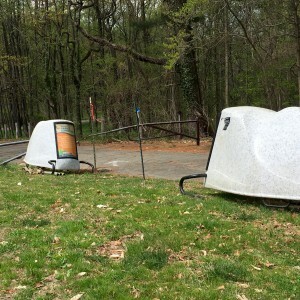 Confederate monuments down, Baltimore must turn to other issues, advocates say. 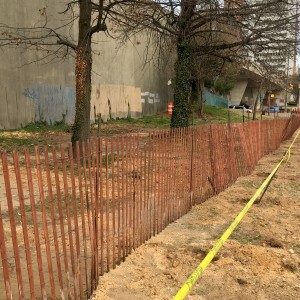 City shores up party wall, fixes damage after Sandtown-Winchester resident protests botched demolition job. 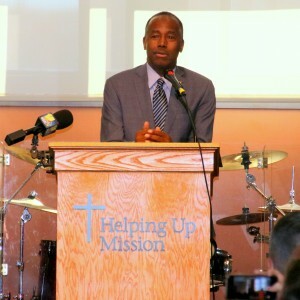 The neurosurgeon-turned-HUD-Secretary is scheduled to speak at an East Baltimore school. 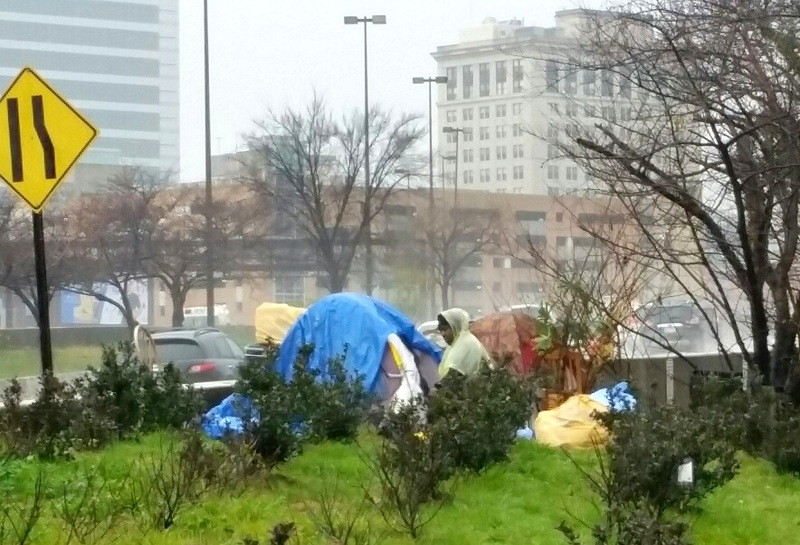 Homeless people were using the plastic covers for shelter and storage. 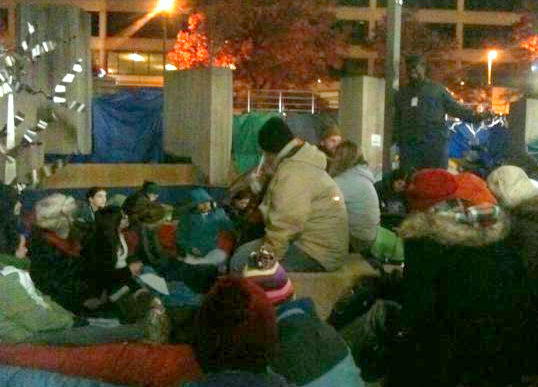 Baltimore makes extra beds available when the temperature drops to 32 degrees or below. 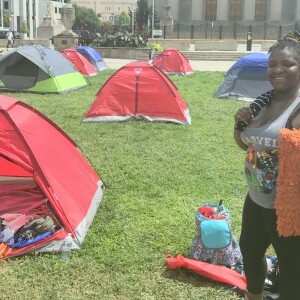 Six people moved from tents along MLK Blvd. 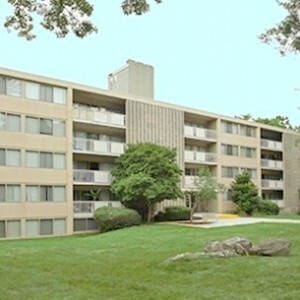 to a hotel have received a commitment for housing vouchers, city reports. 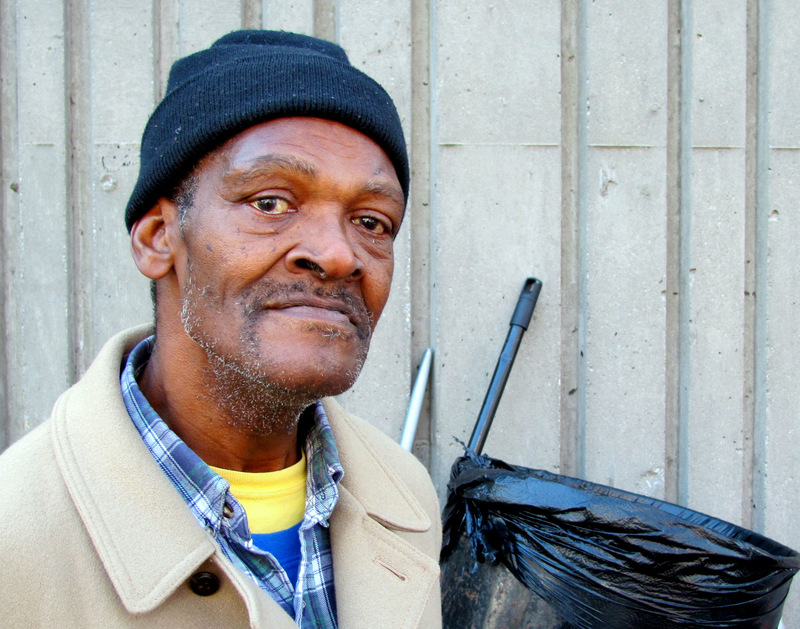 Advocates “very disappointed” that this is new administration’s first act on homelessness. At the annual ritual, speeches and hope that a new administration will move beyond platitudes. 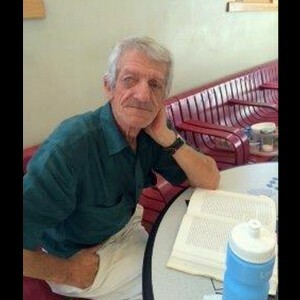 After years of hard times, things were looking up for Andras “Andy” Horvath. 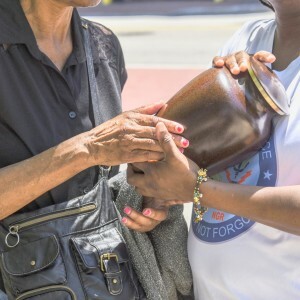 Advocates report a 62% increase in the number of homeless people who died in Baltimore in 2016. 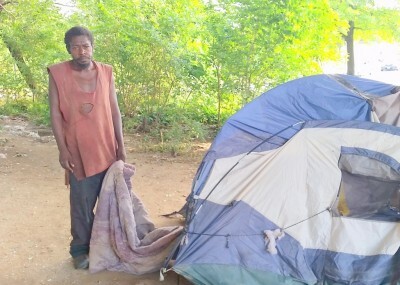 For some, there’s no house, no bed and nothing more than a blanket. 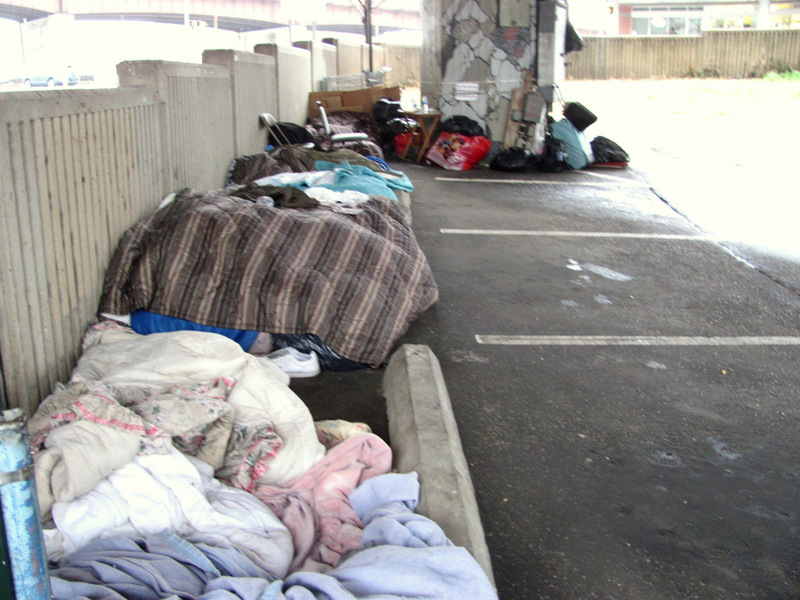 There are 275 extra beds for the homeless tonight, but fewer outreach workers mean that many will still sleep in the streets. Is Baltimore prepared to handle the homeless this winter? 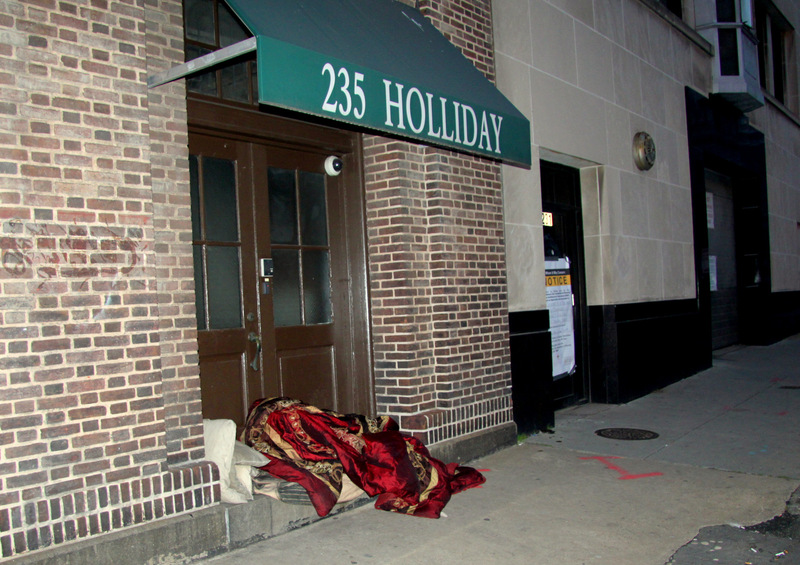 Advocates hope Mayor Pugh makes a complex homeless shelter system work better. 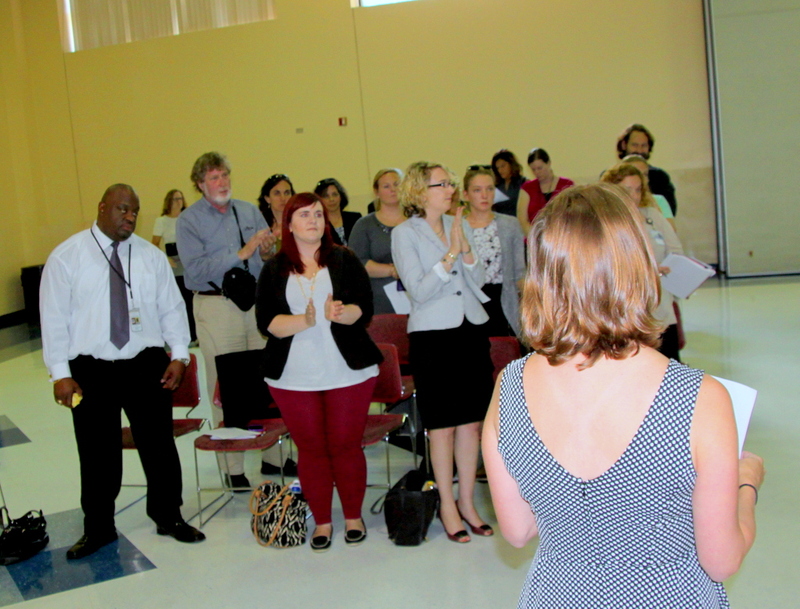 United Way was ready to take over, but providers were wary of giving a private entity control of public dollars. 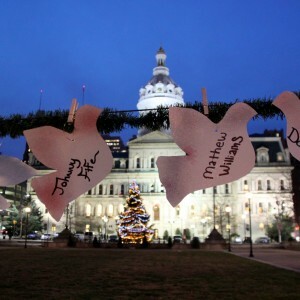 Remembering when they lived outside under an old quilt, thinking of those who died living on the streets of Baltimore, people came together last night to pray, sing – and exhort the city to do more to help those who are homeless. 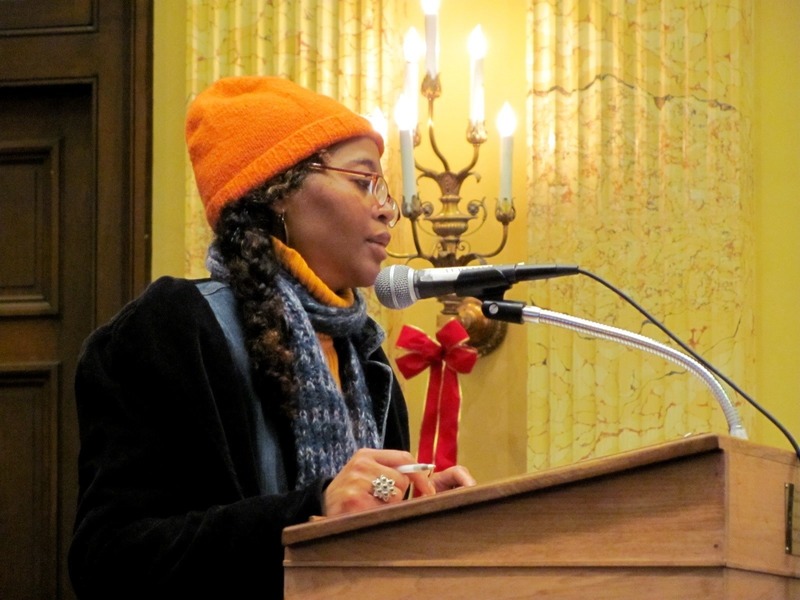 A city official says the zero-degree threshold for sheltering homeless persons was never approved by the mayor and was the result of “bad communication” at a meeting. 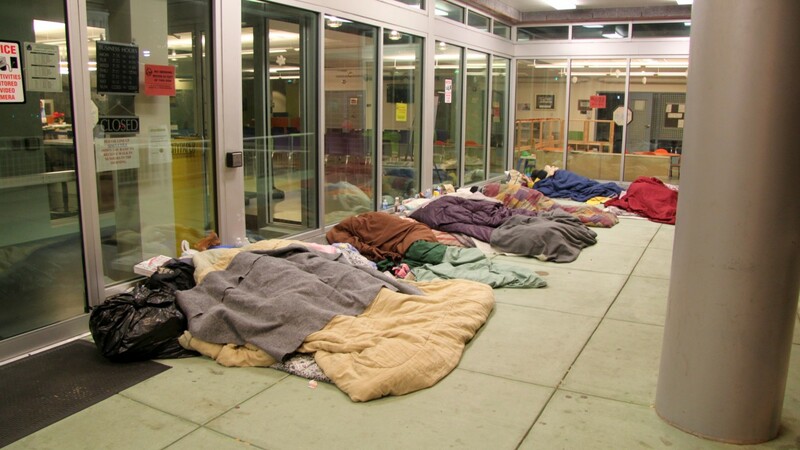 BOTTOM LINE: City plans to open winter overflow shelter when temperatures drop below 32 degrees, not below 0 degrees. 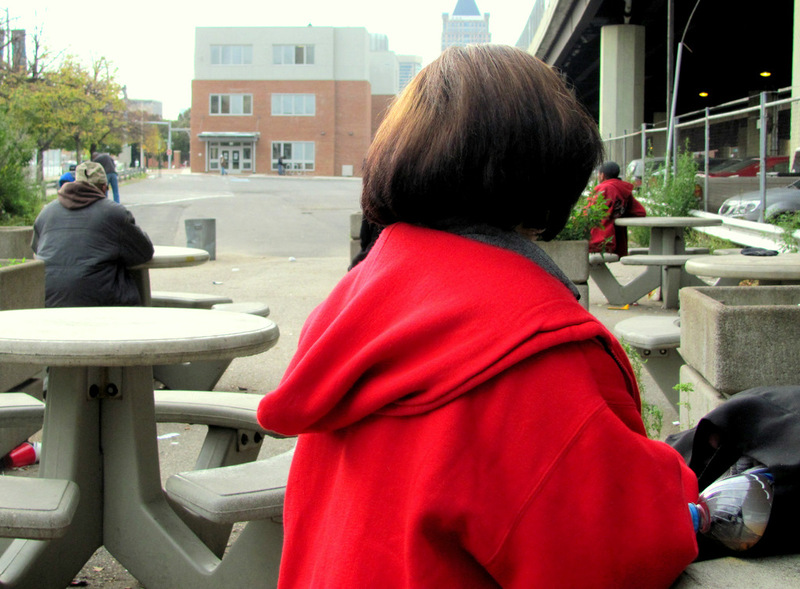 “It’s outrageous,” one homeless service provider said yesterday. 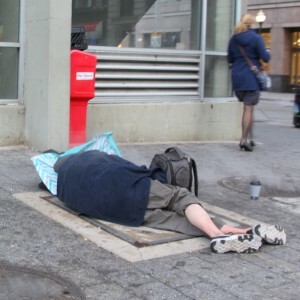 “How would people on the streets even know something is open when it’s zero degrees?” “They would be frozen by the time they would know,” another person replied. 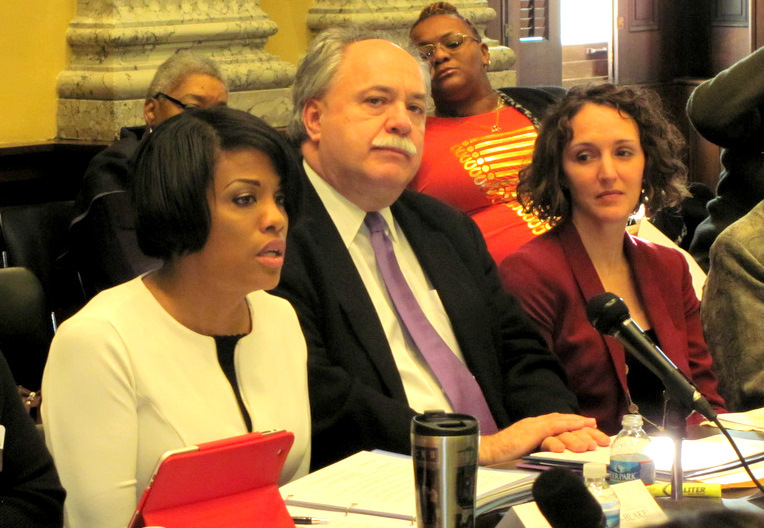 After blistering criticism from her own advisory board – and a group of service providers at a meeting today – Rawlings-Blake said she would hold off on a plan to roust another group of people from their roadside tents, saying she is already working to improve the process of housing voucher distribution. 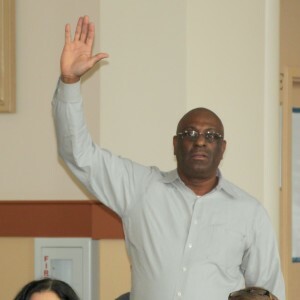 Decrying the fact that over 200 housing vouchers are not being used, the “Journey Home” board called for a moratorium on the razing of encampments until the city fixes what members said was a flawed process for distributing the vouchers to homeless people. 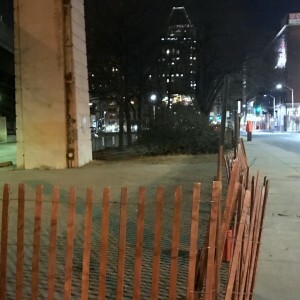 The city had trash trucks, city workers and police coordinated Friday to clear homeless people from an encampment on the west side of Baltimore. One thing they hadn’t done, people there said, was find some place for them to go or warn advocates about what was going down. 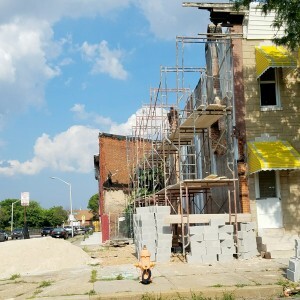 Baltimore’s $2 million affordable housing program has dwindled to just $70,000. The advisory panel’s chair says the law doesn’t work. 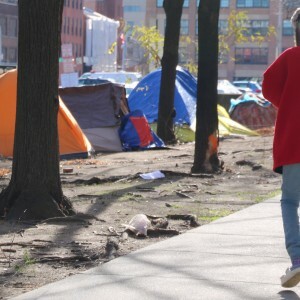 There have been wild rumors regarding what happened to a federal homeless grant that the city is now partially repaying. Based on our review of the full (and so far unreleased) HUD report, we move past the blame game. 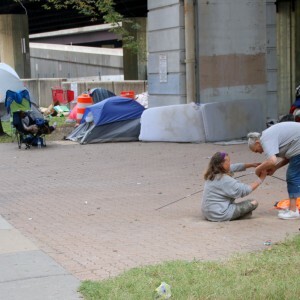 After all the finger pointing and denials, the city is forking out $3.7 million in hard cash to pay back the federal government for mishandled homeless money that was awarded as part of President Obama’s 2009 stimulus program. 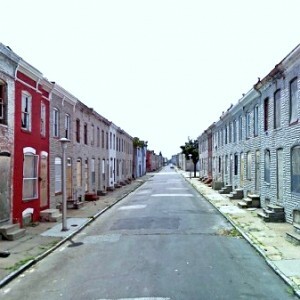 It’s another example of what can happen to the city that never audits. 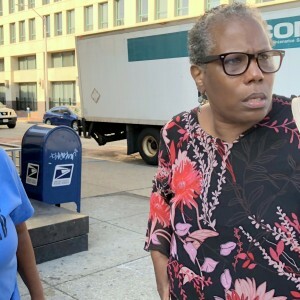 Catholic Charities executive director today called HUD’s decision to order repayment of $3.7 million in homeless grants “atrocious,” while other non-profits rallied around Mayor Rawlings-Blake, who defended her administration’s handling of the grant money. 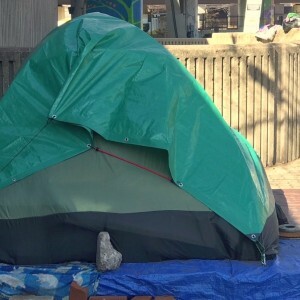 The federal government became so concerned with how the Mayor’s Office of Human Services was administering homeless programs that it ordered an “auto review” of $23 million in homeless grants, documents obtained by The Brew show. 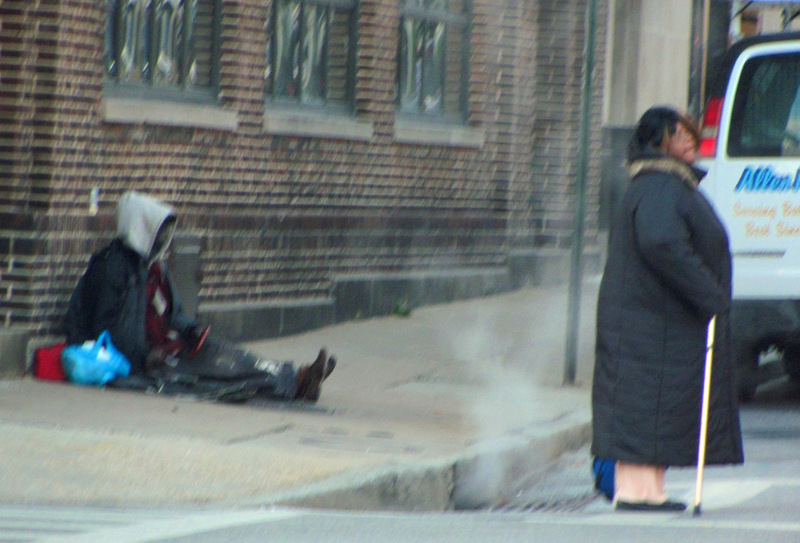 The federal government downsizes its demand for misspent homeless funds by Baltimore City. 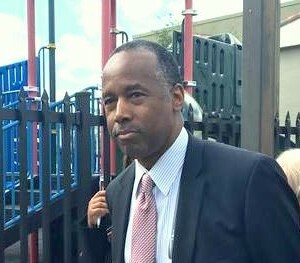 Still, the $3.76 million ordered by HUD in a nearly final report is larger than any similar request from another city and an embarrassment to the mayor’s homeless agenda. 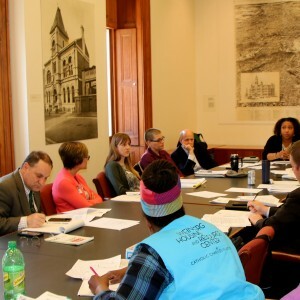 A meeting to introduce new board members for the mayor’s “Journey Home” initiative veered off script when questions – unanswered for a year – were asked about a federal audit accusing the city and United Way of Central Maryland of not properly handling the funds. 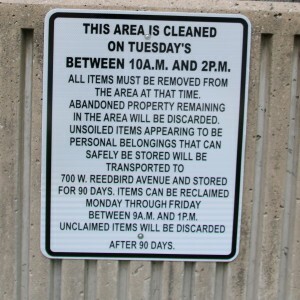 A year ago, the city said it would prove that “no waste, fraud or abuse” happened during its administration of a $9.5 million homeless grant. 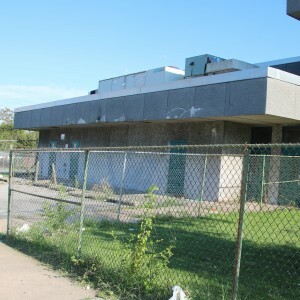 Now the city is preparing to return a sizable chunk of that money back to the federal government. 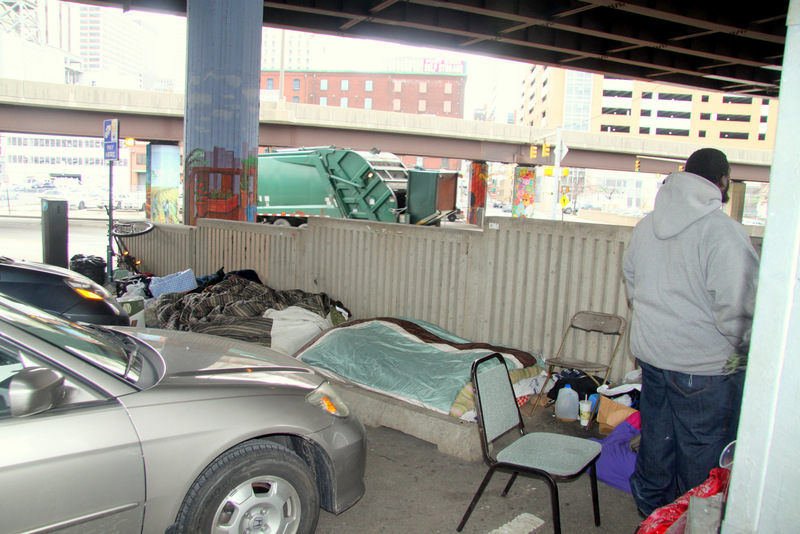 Calling “Camp 83” a health and safety hazard, the city evicted 15 people living outdoors by a downtown JFX on-ramp and hauled their make-shift dwellings to the dump. These days a smaller group of people are living at the same spot. 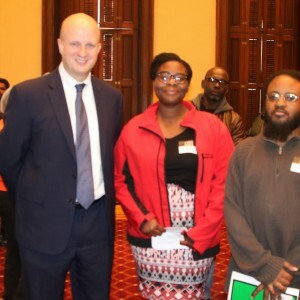 Could you pass the Homelessness Challenge? 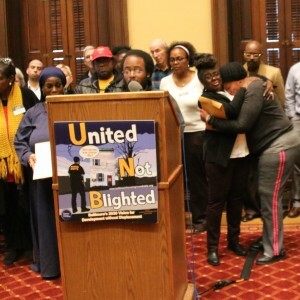 It’s like combating the flu with Kleenex, say the authors, of Baltimore’s attempts to hide the visible evidence of poverty and homelessness through tougher anti-panhandling laws. 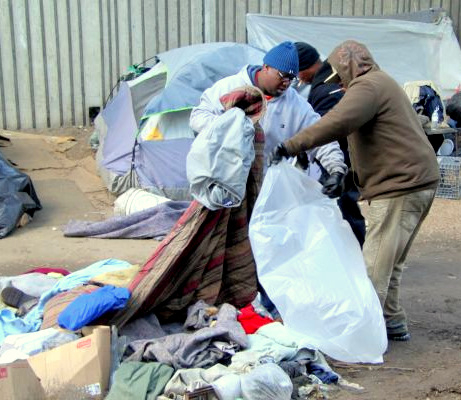 Perhaps putting the powerful into the shoes of the homeless, just for a day, could open up their hearts. 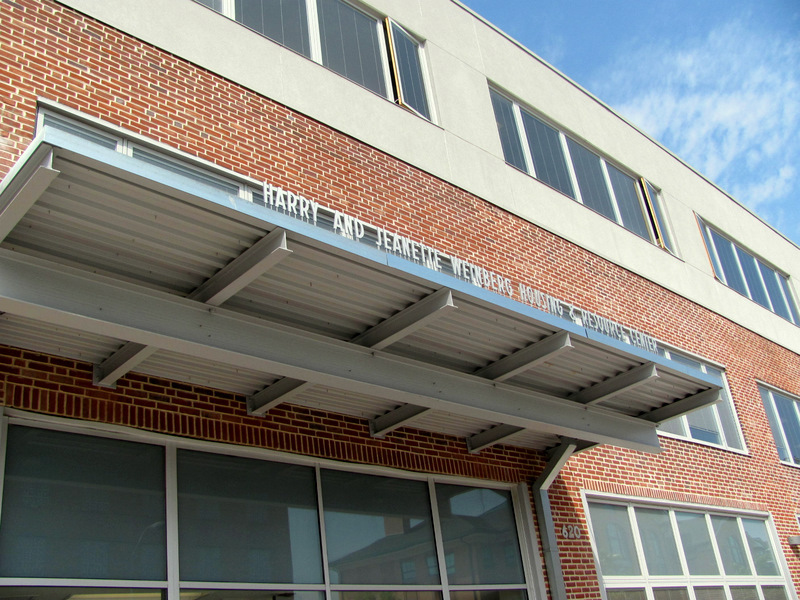 After two years of criticism by occupants of Baltimore’s homeless shelter – and a fatal stabbing – the center will be placed under the operation of Catholic Charities, which is planning some major changes. 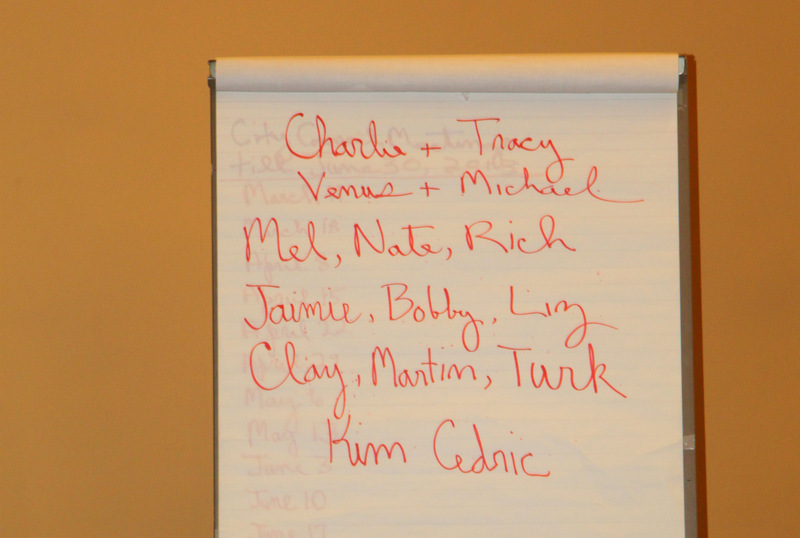 “Cherishing the divine within” is the group’s guiding principle. 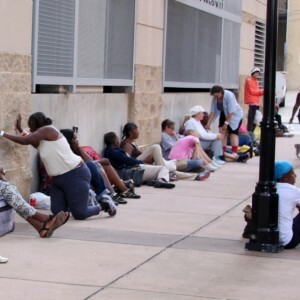 With the Baltimore Farmers’ Market resuming under the JFX this Sunday, the homeless who share space there with fresh produce and cheese sellers are preparing for a rugged weekly ritual – a city truck that removes their belongings and hoses down the area. Is the city going further this year? 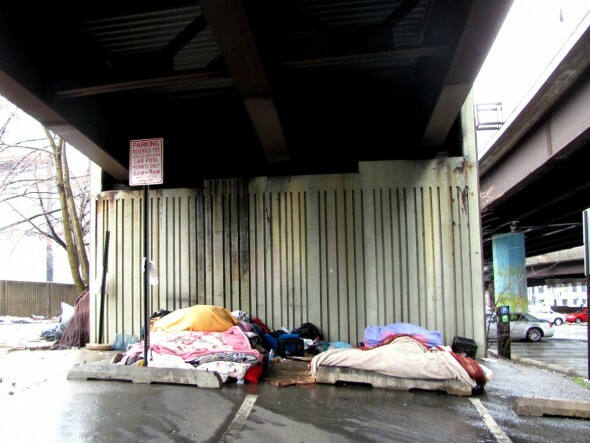 Why can’t the city do a better job getting people out from under bridges and out of doorways? Are they offering lame excuses or up against insurmountable challenges? 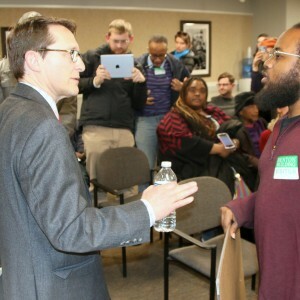 This radio conversation between a city official and a longtime advocate kind of got down to it. 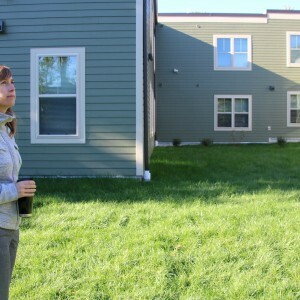 Housing the homeless in vacants – why not? 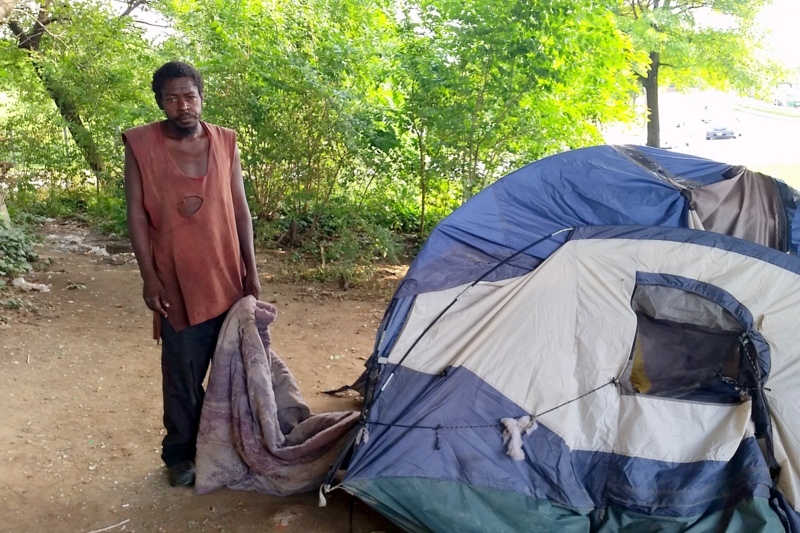 Modern-day versions of “Hoovervilles,” the name for shanty towns built by the homeless during the Great Depression, are cropping up in Baltimore. 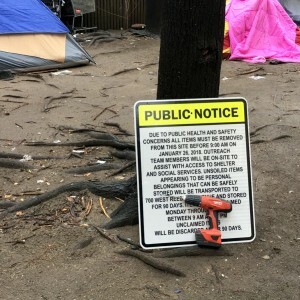 Following last week’s razing of one such camp, the city has disclosed its “protocol” for dismantling homeless encampments. 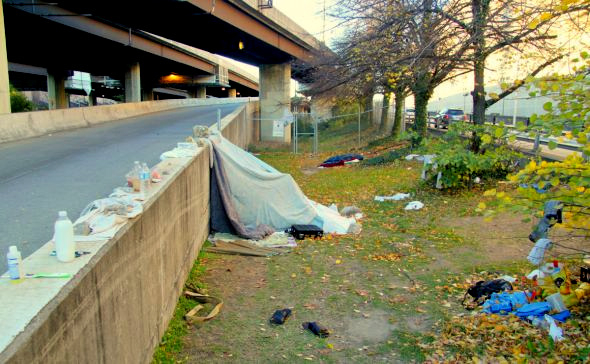 Why are people sleeping under bridges in Baltimore? 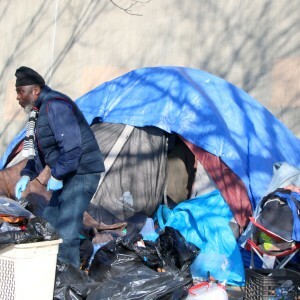 It’s because the city has opted for unsafe and unsanitary emergency shelters to house the homeless rather than the more humane and effective solution of permanent housing, the director of a homeless advocacy group argues. 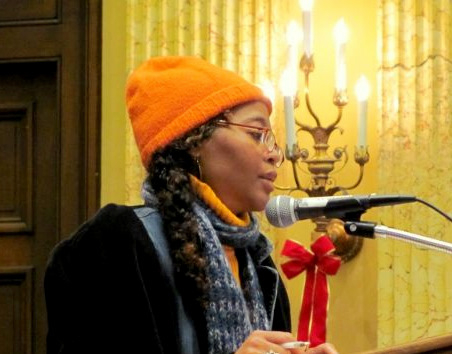 As sub-freezing weather strikes Baltimore, consider the fate of one of its least served populations – homeless teenagers. 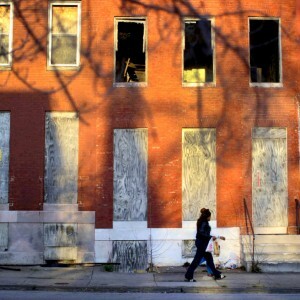 About one in seven people experiencing homelessness in Baltimore is under 25. 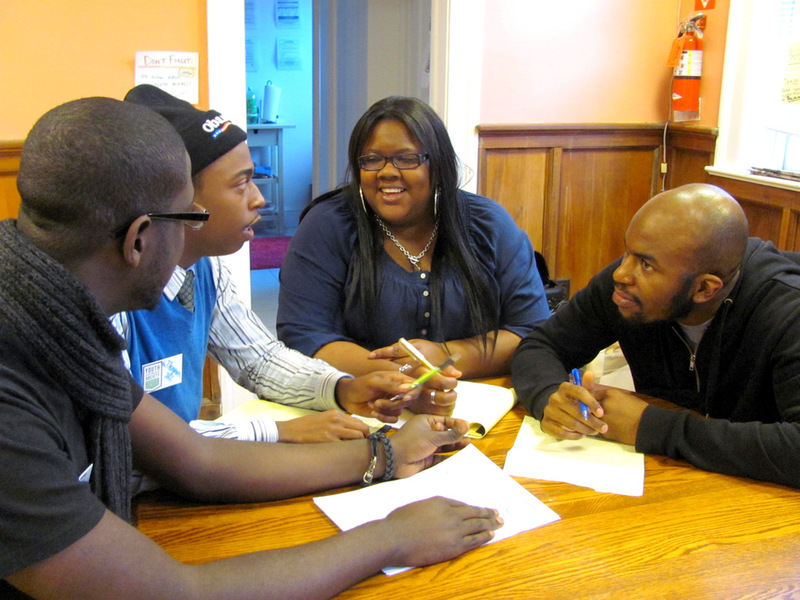 A new drop-in center on Charles Street offers them a safe space and a helping hand. 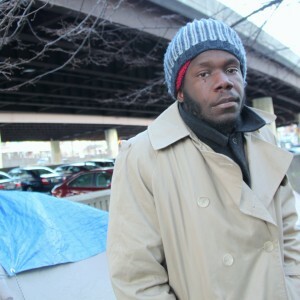 Why Linwood Hearne sleeps outside of Health Care for the Homeless in Baltimore. 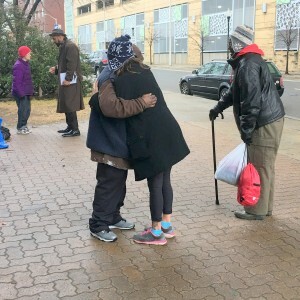 It’s heart-wrenching for Health Care for the Homeless and a bit awkward – a steady stream of people have been sleeping outside its building on “the porch” since summer. 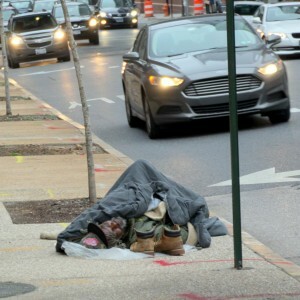 What does this say about the severity of the homeless problem and Baltimore’s ability to handle it? 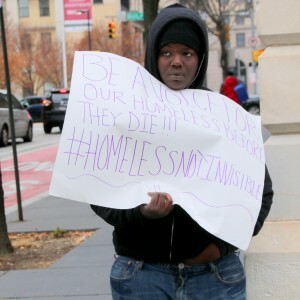 There’s been a threatened lawsuit about city homeless services, a solidarity sleep-out vigil dispersed by police and a City Council hearing where city officials said homeless shelters are meeting the demand – and yet people are still sleeping out in the cold. 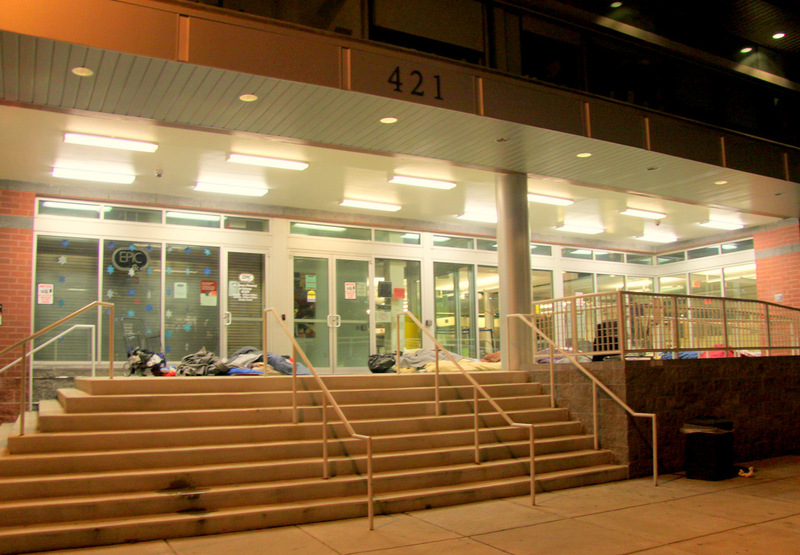 The $8 million Harry and Jeanette Weinberg Housing and Resource Center has lots of amenities like game tables and a rooftop garden, but not enough beds – especially for women – to handle this winter’s demand by the homeless, critics say. 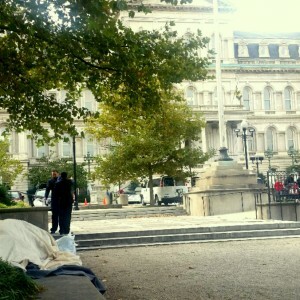 Why one woman prefers Occupy Baltimore to the new facility.